Shofu's CompoSite polishers provide a perfect finish without scratching the surrounding enamel, making them ideal for removing orthodontic adhesives. For a longlasting shine to composite restorations, use CompoSite Fine Polishers (white band). The soft, adaptable cups and disks polish subgingival and interproximal surfaces safely. 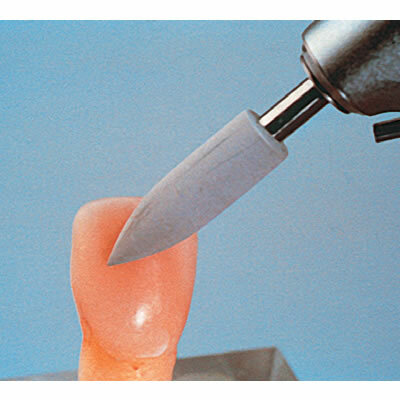 The Pear-Point and Midi-Point are outstanding for polishing occlusal and lingual surfaces. The IC shape is ideal for facial surfaces.